for months now, when I close my eyes I see a sign. A symbol. The question is....why? Why has this symbol/sign been bestowed upon my minds eye. Upon me. Upon my consciousness. Originally Written On February 20th at 7:29 pm. Bringing it out from the vault for a reason. "I saw two shiny gold crosses. They bent toward each otEllieher at their tops forming a pyramid. another shiny gold cross. They move toward the center of the gold cross - as far as they can go - but stop at the vertical bar. "Religion has come as far as it can go. Time for balance and reunion." The cross disappears as the rings reunite forming the creational symbol of vesica pisces." When I see this "Pisces" symbol in my minds eye...there is a doorway, not a modern door...just a door...sometimes an entrance like a cave is there in the center of the Pisces sign. 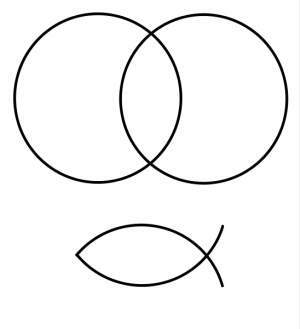 So if you will, imagine two lines instead of one at the center of pisces. As the image is being shown and I am viewing...the doorway/cave will become a very narrow passage way. The two curved lines of Pisces will also start to come closer together as the opening becomes more and more narrow until the passageway merges into one line. The two curves will then become like that of an hour glass....touching one another. So they to had come together. This link provided below is a link to crystalinks. A particular page of Crystalinks....and for this reason: I had sent a Birthday card to Ellie, the woman who is the mind behind the webpage of endless information. Well if you click the link you will see that I sent her an aquarius birthday card. However she sensed Pisces from the card. Could it be that she sensed what my minds eye has been showing me for so long? 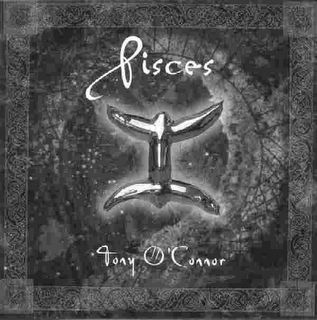 Oddly enough...I know it seems hard to believe, but I did not know that it was in fact the Pisces symbol that I was being shown. Not until I clicked the link within her page. The Pisces link. The two curves will then become like that of an hour glass....touching one another. So they to had "come together." Becoming a step closer to being one with all that is? I don't know.....If anyone has any ideas or input....it would be greatly appreciated. I am studying as much as I can on this. I am finding out information on Pi. There is so much to learn from this vision. I will be posting more. Now mind you, I have never taken a drug in my lifetime so I know we are dealing with the third eye. Pax huic dómui Et ómnibus habitántibus in ea Asspérges me, Dómine, hyssópo, et mundábor; lavábis me, et super nivem dealbábor, Miserére mei, Deus: secúndum magnam misericordiamtuam. Glora Patri, et Filii, et Spiritui Sancti.